The following is a series of questions posed by Ronald Collins on the occasion of the publication of The Supreme Court Sourcebook (Aspen, May 2013) by Richard H. Seamon, Andrew Siegel, Joseph Thai, and Kathryn Watts. Welcome, Kathryn. Thank you for taking the time to participate in this Question and Answer exchange for our readers. And congratulations to you and your co-authors on the publication of this book chock full of information about the Supreme Court. Tell us why you and your co-authors selected the title that you did and how this work differs from other books on the Court? 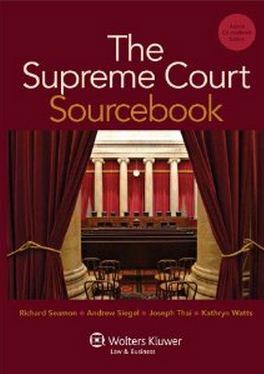 Answer: We selected The Supreme Court Sourcebook as the title because our book contains a large number of sources covering all major aspects of the Court’s decision-making process. We hope the book’s diverse compilation of sources will make it a true educational “sourcebook” to serve the growing interest, in law schools and elsewhere, in the inner workings of the Supreme Court as well as a useful book for those who practice before it. To this end, we carefully select, edit, and explain numerous sources, including: academic literature by leading Court scholars such as Lee Epstein, David O’Brien, and Margaret Cordray; judicial opinions; practice pointers from leading Supreme Court experts; teachable examples of certiorari petitions, merits briefs and oral argument transcripts; and internal Court documents taken from retired Justices’ papers, such as sample cert. pool memos and internal draft opinions. There are other books on the Court with a primarily practice-oriented or theoretical focus (such as Stern & Gressman on the practice side as well as a book by Susan Low Bloch et al. on the more theoretical side). But we don’t believe any other book on the Supreme Court contains such a comprehensive selection of wide-ranging sources that expose readers to a real mix of doctrinal, practice-oriented, and theoretical sources. How did your respective backgrounds inform the authorship of this book? Answer: In addition to teaching courses on the Supreme Court, all of us have experience working at or appearing before the Court. Rich Seamon served with now Chief Justice John Roberts in the Office of the Solicitor General. Andy Siegel clerked for Justice John Paul Stevens, Joe Thai clerked for Justice John Paul Stevens and Justice Byron White, and I clerked for Justice John Paul Stevens. We all benefited greatly from our experiences clerking or practicing before the Court, which offered us privileged views of its workings from different sides of the bench. But needless to say, none of us disclosed any confidential information within the pages of our book. Tell us about the topics you and your co-authors cover in this book. How might this book be useful to those who practice before the Supreme Court? Answer: Although our book was written primarily with the educational law school market in mind, it should also be of interest to members of the Supreme Court bar. The book includes numerous excerpts from leading Supreme Court practitioners and some of the Justices themselves relating to drafting effective cert. petitions and merits briefs and preparing for oral arguments. For example, the book includes excerpts written by John Roberts, Timothy Bishop, Stephen Shapiro, and David Frederick. In addition, for those fascinated by the behind-the-scenes decisional process at the Court, the book walks readers through internal Court documents, such as the cert. papers and internal cert. memos written in Bowers v. Hardwick (1986) to illustrate to readers how certiorari works, as well as internal drafts of opinions written in Miranda v. Arizona (1966) to illustrate the judicial opinion writing process. How might this book help those who will never argue a case before the Supreme Court? Answer: Most law students will never appear before the U.S. Supreme Court. Yet in writing this book, my co-authors and I became more and more convinced that the Court as an institution serves as the perfect focus for a highly practice-oriented educational experience. Our book does this by enabling a hands-on approach to studying the Court, equipping professors with the materials necessary to enable students to develop and refine their written and oral advocacy skills while writing pool memos, simulating oral arguments, drafting merits briefs and writing mock judicial opinions. In this sense, our book aims to bridge the gap between high-level theory, hands-on learning, and the highest court in the land. In addition, we hope the book will be useful and interesting not only to law students and professors, but also to journalists and other Court watchers who want an up-close-and-personal understanding of the Court. Our book seeks to educate readers about the Court and how it conducts its business, as well as to expose readers to some of the theoretical debates and current controversies surrounding the Court. 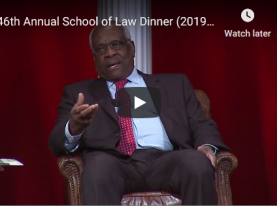 About how many law schools offer some kind of class or clinic on Supreme Court practice, and how does all of this fit into the new move towards experiential teaching? Answer: By our last count, more than seventy-five such courses (mostly seminars) were offered in law schools across the country, with more added each year. When some of my co-authors began teaching Supreme Court courses in the early 2000s, there were no more than perhaps fifteen or twenty such courses being taught at U.S. law schools. So the number of such courses has really soared in recent years. This increase may well reflect growing interest in opportunities for experiential learning. As I just noted, even though the Supreme Court is quite isolated and remote, the institution serves as the perfect focus for a highly practice-oriented educational experience that encourages simulation-based learning as well as the refinement of various advocacy skills. You mentioned that the book covers some contemporary issues facing the Court. What specific so-called “hot topics” does the book cover? Answer: We cover a variety of hot topics. For example, Chapter 8 examines the question of diversity at the Court – namely, diversity (or the lack of diversity) among the Justices, the Justices’ law clerks, and advocates who appear before the Court. 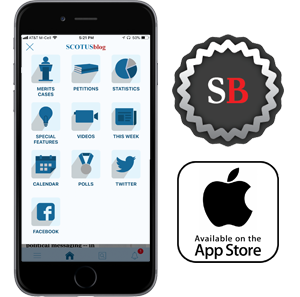 Readers are encouraged to think about whether the Court and the key players operating within and appearing before the Court should look more like the rest of America and what benefits, if any, there would be to having a more representative Supreme Court. Another hot topic covered in Chapter 8 is the question of how the public learns about the Court and whether and when the veil of secrecy that surrounds the Court should be lifted. Specifically, three current debates involving public access to information about the Court are explored: (1) recurring proposals to bring cameras into the Court to televise Court proceedings; (2) questions surrounding the appropriate timing of the public release of retired Supreme Court Justices’ papers; and (3) controversies surrounding law clerks’ duties not to publicly divulge confidential Court-related information. On a related note: You have a new article, soon to be published in the New York University Law Review, concerning the papers of the Supreme Court Justices. Can you say a few words about the thesis of that article? Answer: I would be happy to. The article raises the question of who should own federal judges’ working papers – meaning papers created by judges relating to their official duties, such as internal draft opinions, confidential vote sheets, and case-related correspondence – and what should happen to a federal judge’s working papers once a judge leaves the federal bench. No uniform rule currently governs judges’ working papers other than a longstanding historical default, which embraces private ownership of judicial papers and gives individual judges control over the fate of their own papers. Upon the thirty-fifth anniversary of the enactment of the Presidential Records Act, I argue that judges’ working papers should be treated as governmental property just as presidential papers are rather than as a species of private property.